I've so many pics of food and so many recipes in drafts yet to finalize and post it ( will try and do it soon :) ). 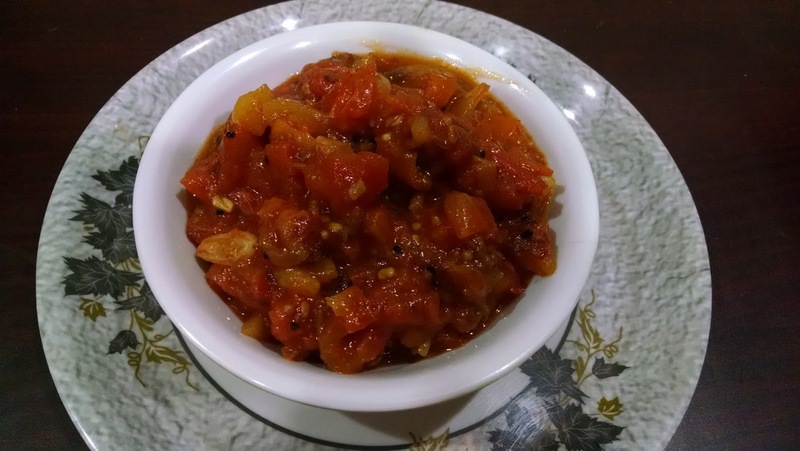 Recently I made this amazing tomato chutney do try and let me know how it turned up. 50 gms Jaggery powder or Jaggery Syrup 5 tbsp if available. Take a pan once its little warm add oil to it.then add cumin seeds . 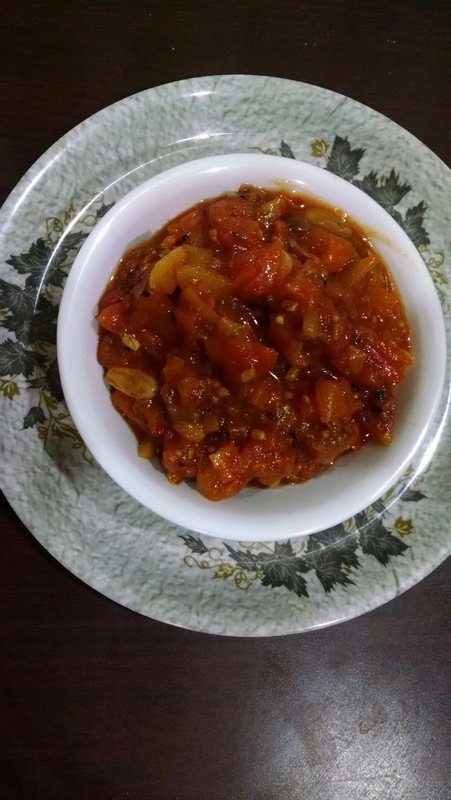 fenugreek seeds , fennel seeds , mustard seeds , Onion seeds and Red Chili and cook it for 1 minute. Now add Tomatoes to the spice mixture above.Let it cook on slow flame and cover it for 5 minutes. Mix it well and then add raisins , jaggery ,dates and raw mango ( or aam Papad if raw mango is not available) to the pan . Mix it well . Cover and cook it for 5 minutes.Keep on stirring in between. Now add Chili powder and salt to this . Mix it well . Tomato Chutney is ready to be relished.